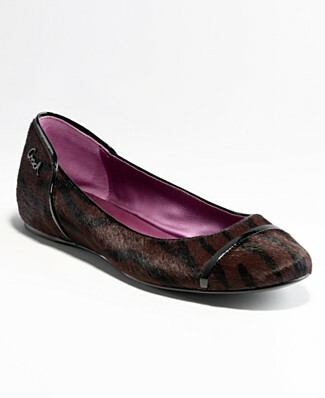 Comfy Flats from Johnston & Murphy! Comfy is the name of the game today!!! Actually, super comfy! As a lover and expert of shoes, I always stress that there is a time and place for every type of shoe. Flip flops for the beach, hiking boots for camping, sparkly heels for NYE celebrations, and flats for long work days or running errands, right? Well when it comes to flats, the Claire Studded Penny Drivers from Johnston & Murphy are one of the most comfortable ones I’ve tried on, tested, and worn for an 8-hour work day! 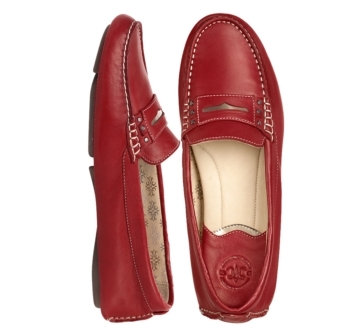 I have the red ones as shown above, but they come in other colors such as black, brown, tan, beige, and navy as well. The leather is so soft, and a thin orthotic will fit comfortably in this shoe if you wear one like I do. I can tell you from personal experience in Nordstrom today that this shoe is not only beautiful but also comfortable for a 4″ heel. I usually don’t wear closed toe pumps because my toes feel crowded in the narrow toe box that typically are seen in pumps, but this shoe has a nice rounded roomy toe box which did not crowd my toes at all! Also, the cushioned insole along with the elasticized strap across the midfoot add extra comfort, which we can all appreciate in a pump. I mean, if we’re going to wear a high heel, any extra comfort is much appreciated! 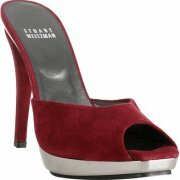 By the way, if you want this shoe, you can find it at Nordstrom for under $100.00! So, what does a girl REALLY want for Valentine’s Day anyway??? Well, if you’re reading this blog, it’s shoes, shoes, shoes!!! OK, those were some expensive designer shoes that we would all love to have and now here are some Valentine’s Day shoes that are on sale! And who doesn’t love a shoe sale??? 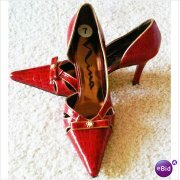 We Are Giving Away a Pair of Designer Shoes in 2011! 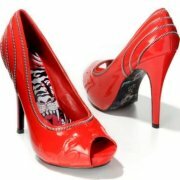 Yes, you read it right…we will be giving away one pair of designer shoes later this year to the winner of our contest! Woo hoo! Free Shoes! So, what do you have to do to get these shoes anyway??? Well, let me tell you…All you have to do is submit your shoe story to us! It’s that simple! We are looking for the best shoe stories from shoe lovers like you. We are not looking for a specific type of shoe story, but we want interesting, true, unique-to-you shoe stories. Tell us why you love shoes! Tell us when you realized you were a shoe addict! Tell us why you became a shoe lover in the first place! Tell us whatever you want to share about you and your lovely shoes! 3. Your story should be a story, not a sentence! There is no word limit, but a paragraph or two would be great. 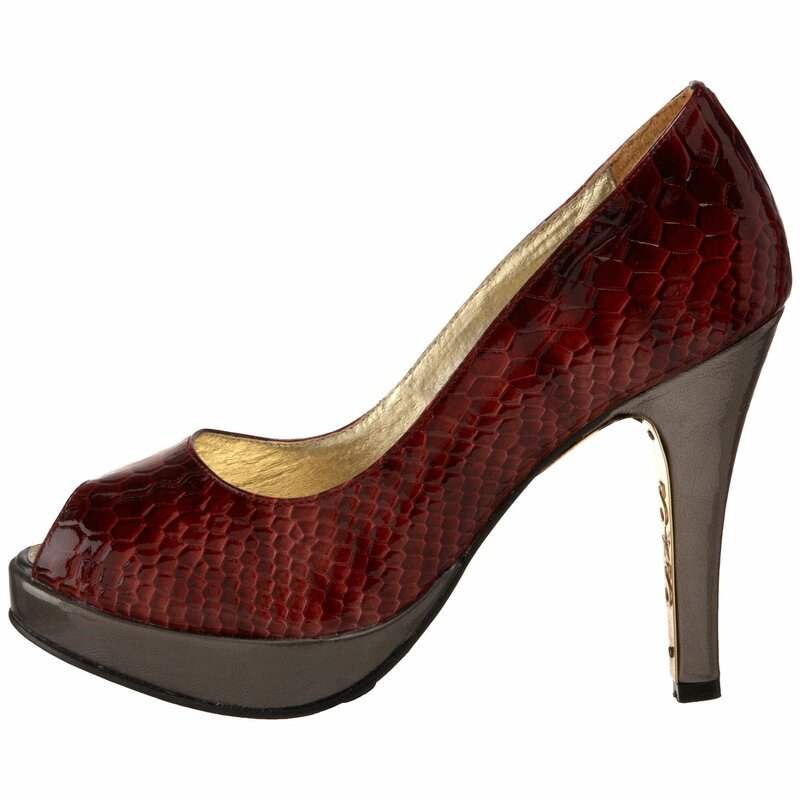 The winner will be hand-picked by Dr. Michele, The Shoe Expert! May the best, most interesting, most unique shoe-tastic story win Be sure that your shoe story is submitted before our deadline to be eligible to win. The contest ends at midnight (PST) on Dec. 15, 2011. 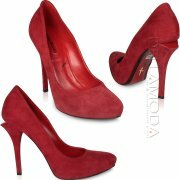 The winner will be announced on Dec. 31, 2011, making one shoe lover’s New Year’s celebration one to remember! Attention Shoe Lovers: Got Your Sparkly Shoes For NYE Yet? New Years Eve is quickly approaching, plans are being made, dresses are being picked out, and sparkly shoes are in! Do you have YOUR sparkly, glittery, head-turning shoes yet? You still have some time if you hurry!!! 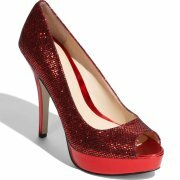 And I have found some of the hottest, gorgeous, sparkly shoes for you!!! 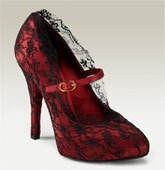 Check these out, ladies, and tell me if you love them or if YOU LOVE THEM! Like them or love them, one thing is for sure…they will be out and about on New Years Eve! So now that Christmas is over, the After Christmas Shoe Sales are being advertised all over the web, but to put you a step ahead of the other shoppers, here is a little list of the Top 10 Shoe Sales going on now (plus last minute updates just posted today)! 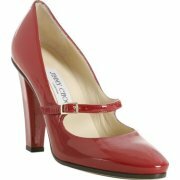 Updates today: After Christmas Sales listed today from Saks Fifth Avenue, Aldo Shoes, Abercrombie & Fitch, Calvin Klein, American Apparel, Selfridges, Sears, The Childrens Place, Juicy Couture, PUMA, Neiman Marcus, Shoes.com, Express, and many more shoe sales listed on Shopping and Info.com’s blog (featuring Prada shoes, Jimmy Choo boots, Alexander Wang boots, Ann Demeulemeester boots, and Christian Louboutin platform sandals). 1. From ArticleSnatch.com: “Everyone loves a good bargain and the day after Christmas sales promise to offer the best bargains on various products for you or for your friends and family. This is also the best time to start your Christmas shopping for 2011 as you will be able to find some of the best Christmas gifts for 2011 at great prices. 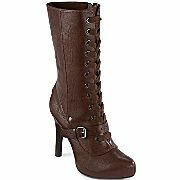 This article discusses finding bargains during the day after Christmas sales shopping for 2010.” (featuring Target, Neiman Marcus, MyTheresa.com sales) Here is a great deal from Neiman Marcus Last Call Store: 7 For All Mankind boot originally priced at $330.oo, now on sale for $165.00, plus an extra 30% off now! 5. 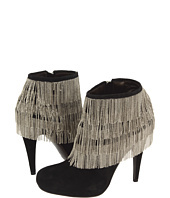 Zappos always has great deals on shoes! Check out some of their sales going on now! 6. 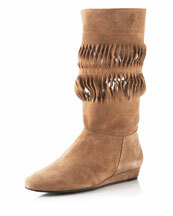 Juicy Couture’s shoe sale features all styles of boots for 20% off as well as clogs for over 40% off! 7. Nordstrom is also having its All Women’s Winter Sale and its Half-Yearly Sale for Men now, with shoes and boots on sale for 20-50% off! 8. 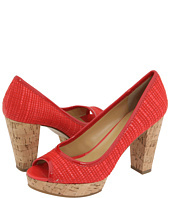 Nine West is having a shoe sale with up to 70% off!!! 9. Shoebuy.com is having a one day only sale (today only!) in which an additional 20% is taken off of the sale price, plus free shipping! 10. Endless.com is having its Year End Deals where you can save an additional 25% off on thousands of sale items such as Guess, Pour la Victoire, and Badgley Mischka shoes and boots! Of course there are many, many more sales out there, but I hope this helps you get a little bit of a head start! 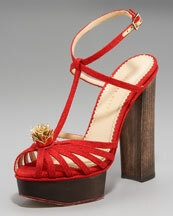 Shoe Lovers: Are You Wearing Your Red Christmas Shoes Today? 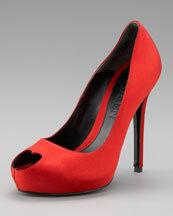 Here are some examples of really red shoes to show some Christmas spirit today! So whether you’re just going to mom and dad’s house for dinner or going to a glitzy holiday party, you can still arrive in style! This is one of those occasions where you can wear your super high to the sky stilettos if you want to because you won’t be standing in long lines or walking for blocks! Most likely, you’ll walk from your front door to your car, then your car into someone’s home, then do a lot of sitting while eating, drinking, and socializing…unless you’re the one cooking the big meal…in that case, wear your flats while cooking and save your heels until the cooking is done and you’re ready to sit and mingle with your family and other guests! 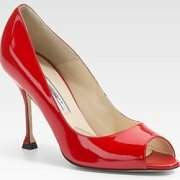 Last but not least, what red shoe discussion would be complete without a pair of red shoes with red soles: ﻿Christian Louboutin pumps! 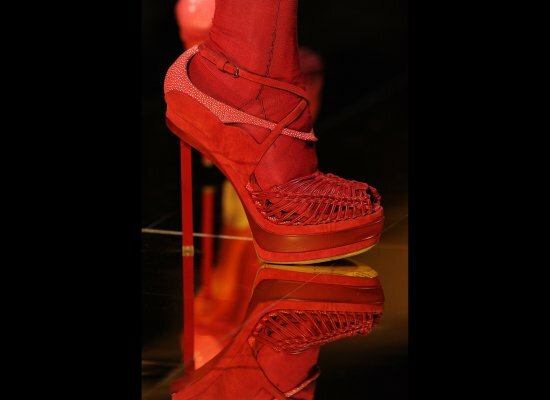 Are you wearing red shoes today? If you are, I would love to see them! 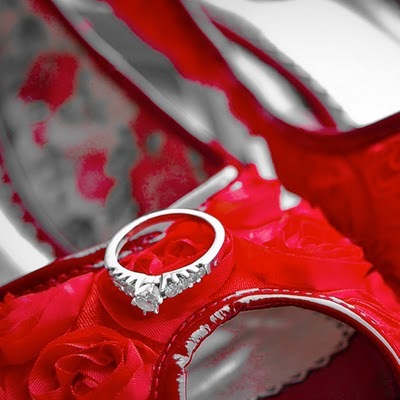 Please feel free to comment and post your own photos of your red shoes!